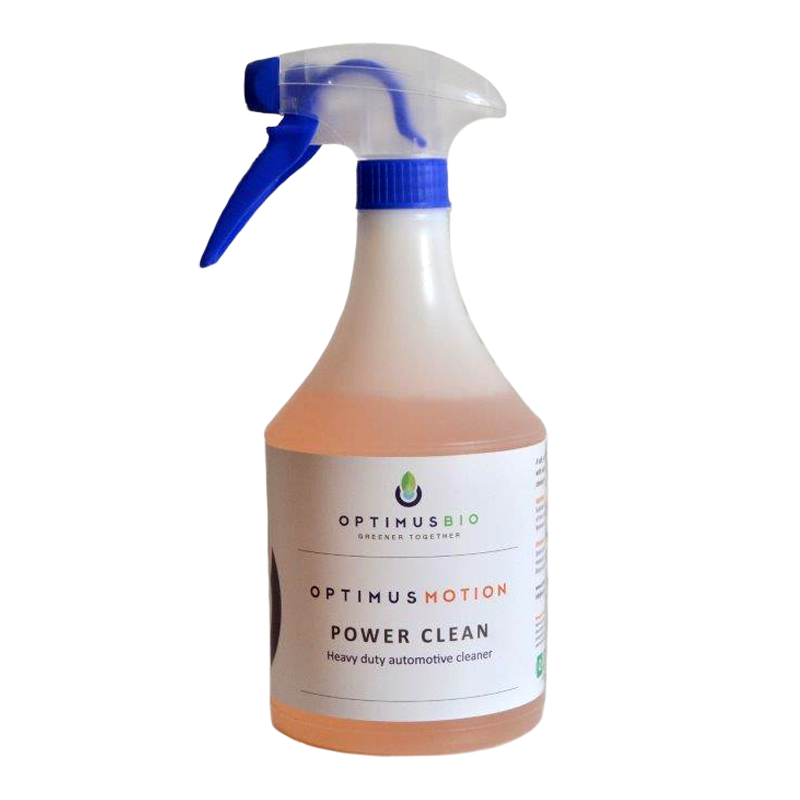 Optimus Motion Power Clean is a heavy duty automotive degreaser. 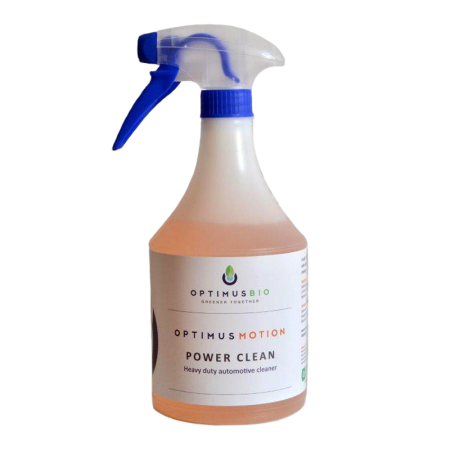 A safe, versatile biodegradable heavy duty automotive cleaner with natural bacteria that produce cleaning enzymes. 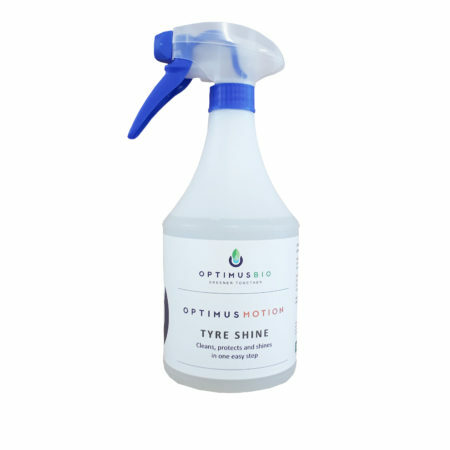 Suitable for use in cleaning and decontamination of rims, engines, parts, suspension and paintwork. 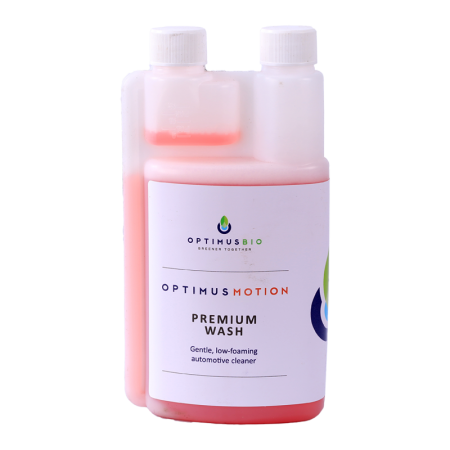 Removes oil, grease and tar. Spray onto surface and allow contact time as necessary. Work with a sponge or brush. Rinse with water. Test compatibility before use.